Cloud infrastructure as a service (IaaS) is a type of cloud computing service; it parallels the infrastructure and data center initiatives of traditional IT. Cloud compute IaaS constitutes the largest segment of this market (the broader IaaS market also includes cloud storage and cloud printing). 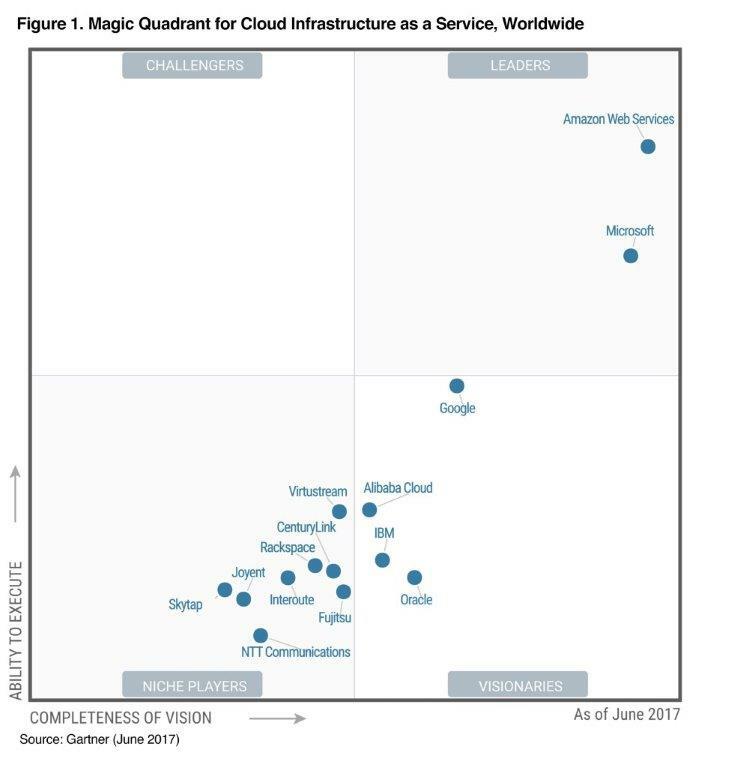 Only cloud compute IaaS is evaluated in this Magic Quadrant. The Magic Quadrant also strongly emphasizes self-service and automation in a standardized environment. It focuses on the needs of customers whose primary need is self-service cloud IaaS, although this may be supplemented by a small amount of colocation or traditional hosting. In self-service cloud IaaS, the customer retains most of the responsibility for IT operations (even if the customer subsequently chooses to outsource that responsibility via third-party managed services). Why would you want to trust any other provider for your Cloud InfraStructure as a Service? Offerings: AWS is integrated IaaS+PaaS. Its Elastic Compute Cloud (EC2) offers metered-by-the-second multi-tenant and single-tenant VMs, as well as bare-metal servers. AWS's hypervisors are based on Xen and KVM. There is multitenant block and file storage, along with extensive additional IaaS and PaaS capabilities. These include object storage with an integrated CDN (Amazon Simple Storage Service [S3] and CloudFront), Docker container services (Amazon Elastic Container Service [ECS], ECS for Kubernetes [EKS], and Fargate container instances), a batch computing service (AWSBatch), event-driven "serverless computing" (Lambda) and an aPaaS-like developer experience (Elastic Beanstalk). It is willing to negotiate large-scale single-tenant and on-premises deals. The AWS Marketplace has an extensive selection of third-party software and services. 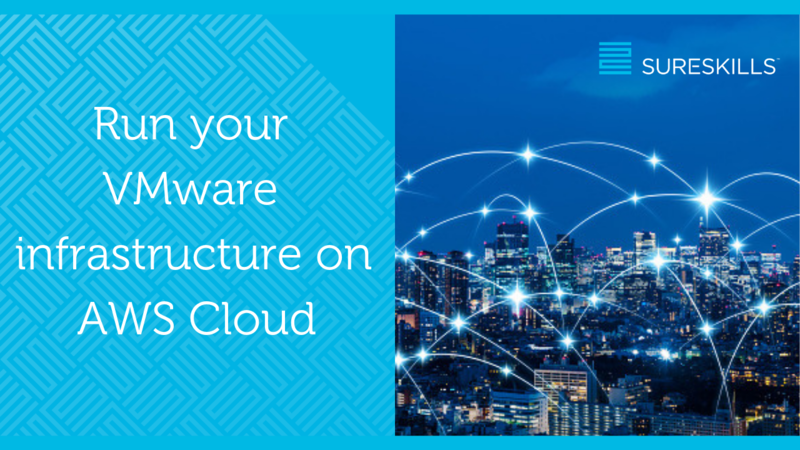 VMware offers a VMware Cloud Foundation service within AWS data centers (VMware Cloud on AWS). Enterprise-grade support is extra. It has a multi-fault-domain SLA. Colocation needs are met via partner exchanges (AWS Direct Connect). Locations: AWS groups its data centers into regions, each of which contains at least two availability zones (data centers). It has multiple regions across the U.S., as well as in Canada, France, Germany, Ireland, U.K., Australia, India, Japan, Singapore, South Korea and Brazil. It also has one region dedicated to the U.S. Federal Government. There are two China regions — Beijing (operated by Sinnet) and Ningxia (operated by Ningxia Western Cloud Data Technology [NWCD]). The management portal and documentation are provided in English, Dutch, French, German, Italian, Japanese, Korean, Mandarin, Portuguese and Spanish. The primary languages for support are English, Japanese and Mandarin, but AWS does commit to providing support in a large number of other languages. Tier 1. AWS has been the market pioneer and leader in cloud IaaS for over 10 years. AWS is the provider most commonly chosen for strategic, organization wide adoption. Transformation efforts are best undertaken in conjunction with a Systems Integrator (SI). All use cases that run well in a virtualized environment. AWS is the most mature, enterprise-ready provider, with the strongest track record of customer success and the most useful partner ecosystem. Thus, it is the provider not only chosen by customers that value innovation and are implementing digital business projects, but also preferred by customers that are migrating traditional data centers to cloud IaaS. It can readily support mission-critical production applications, as well as the implementation of highly secure and compliant solutions. 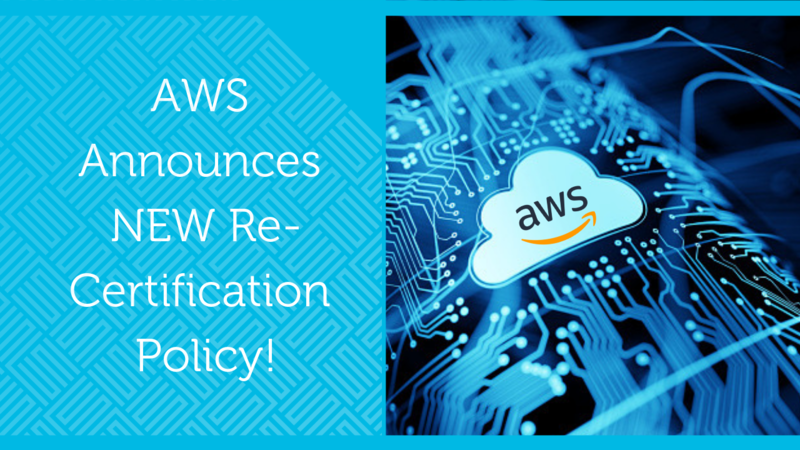 Implementation, migration and management are significantly eased by AWS's ecosystem of more than 2,000 consulting partners that offer managed and professional services. AWS has the broadest cloud IaaS provider ecosystem of ISVs, which ensures that customers are able to obtain support and licenses for most commercial software, as well as obtain software and SaaS solutions that are pre-integrated with AWS. AWS's extensive portfolio of services requires expertise to implement. Customers should be aware that while it's easy to get started, optimal use — especially keeping up with new service innovations and best practices, and managing costs — may challenge even highly agile, expert IT organizations. With AWS leading the IaaS market it makes good financial and business sense to make use of their services and expertise. Couple this with the ease of setting up and starting to use AWS IaaS then IT as a Service becomes a simple and pain free model to consume. Customers, however, need to be aware that implementing IT on AWS is not a one-time lift/shift and forget option! Along with new services being deployed almost daily and AWS recommending a high level of automation, customers need to adopt a CI/CD (Continuous Integration/Continuous Development) approach to running and deploying IT in the cloud. 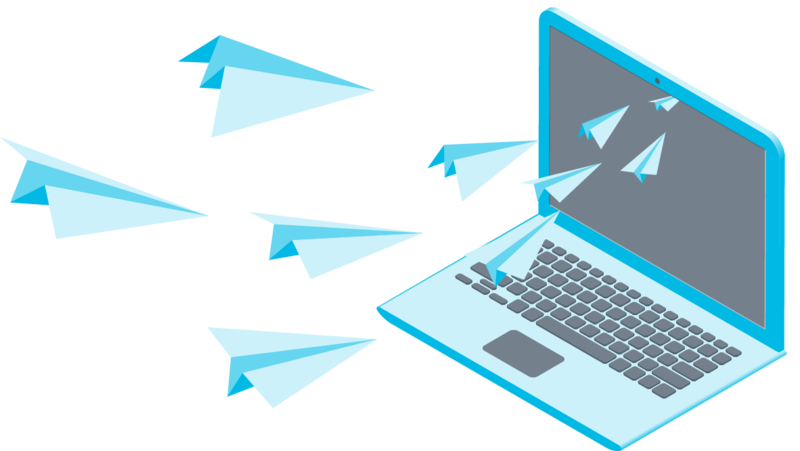 Talk to us about getting some hands-on practical training and also about getting assistance in making that move from on physical on-premise IT to the cloud – we can consult and work with you to make your transition a smooth one. SureSkills – the ONLY and BEST authorised AWS IT training partner in Ireland. We also offer training on Project Management, Agile and Scrum – all skills which you’ll need when you make your move to IaaS.